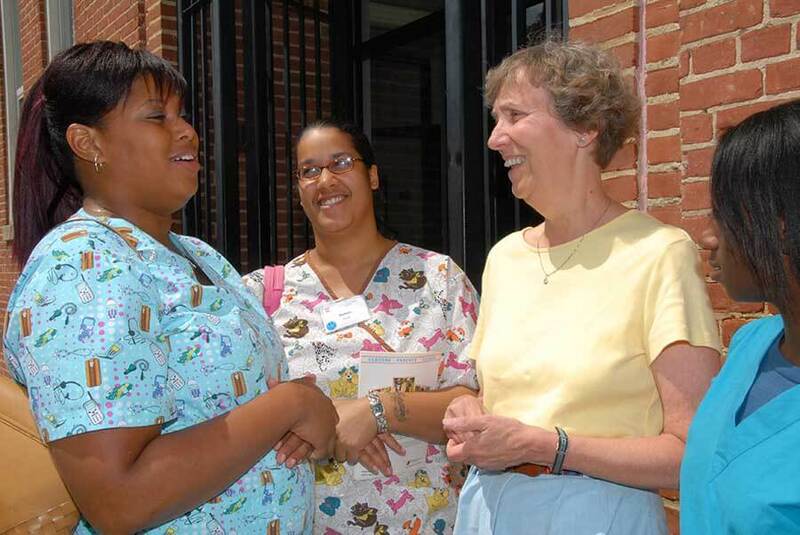 April 7 is graduation day at Caroline Center, a job training and education center for women in Baltimore City that is sponsored by the School Sisters of Notre Dame. Students will go off, armed with training as nursing assistants and pharmacy technicians. And their executive director will say goodbye after 22 years. School Sister of Notre Dame Patricia McLaughlin will be honored at a reception that evening at her alma mater, Notre Dame of Maryland University. 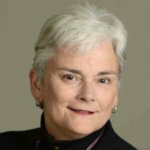 Sister Kathleen Feeley, a fellow SSND, can attest to Sister Pat’s work. While she was raising funds and renovating the 1908 building on the Institute of Notre Dame campus that would become the Caroline Center, Sister Kathleen decided she wasn’t the right person to run it. She chose Sister Pat, who had the creativity and experience necessary, after serving on the order’s provincial council and as director of My Sister’s Place, a Catholic Charities of Baltimore program for homeless and impoverished women and their children. Sister Pat, who grew up in St. William of York Parish in Ten Hills, attended Notre Dame Preparatory School and professed as an SSND in 1965, joined Caroline Center as associate director in 1994 and two years later succeeded Sister Kathleen as executive director. Over the years, Sister Pat has seen the program grow and adapt – with a single mission. Sister Pat has always been an advocate for Caroline Center students. She’s developed partnerships with hospitals, pharmacies and other businesses to hire graduates. She’s brought in services, changed the program, and encouraged her students’ success. Colene Mathews, 42, a parishioner of St. Jude Shrine, is among those grateful for the opportunities offered by the Caroline Center. A 2015 graduate who worked at the School Sisters’ Maria Health Care Center caring for aging sisters, she is now enrolled in Johns Hopkins Hospital’s SOARING program, which trains certified nursing assistants for advanced direct patient care. She hopes to become an RN. Matthews is among 3,000 graduates of the Caroline Center, where interest in the mission is helped by word of mouth. The April class attracted 636 applications – for 90 seats. 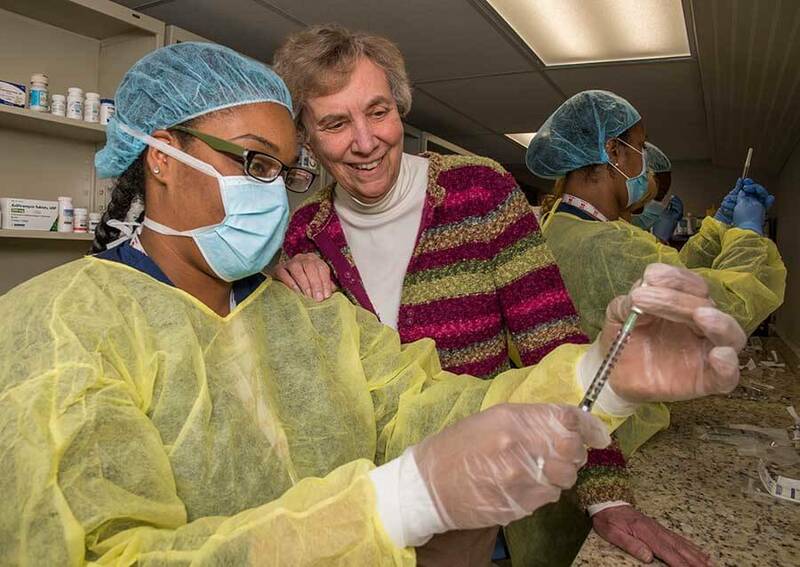 Two years ago, on the center’s 20th anniversary, Caroline Center responded to unrest following Freddie Gray’s death by opening a new center for nursing assistants training at St. Agnes Hospital. “It’s a wonderful setting,” Sister Pat said. What’s next for Caroline Center? Sister Pat said that new training programs might be added. A new strategic plan is needed, after a new director is selected in the coming year. Sister Pat is still deciding on her next steps. She continues to sit on several boards and plans to consider how best she can service the SSNDs and the community. “I still have lots of energy,” she said.